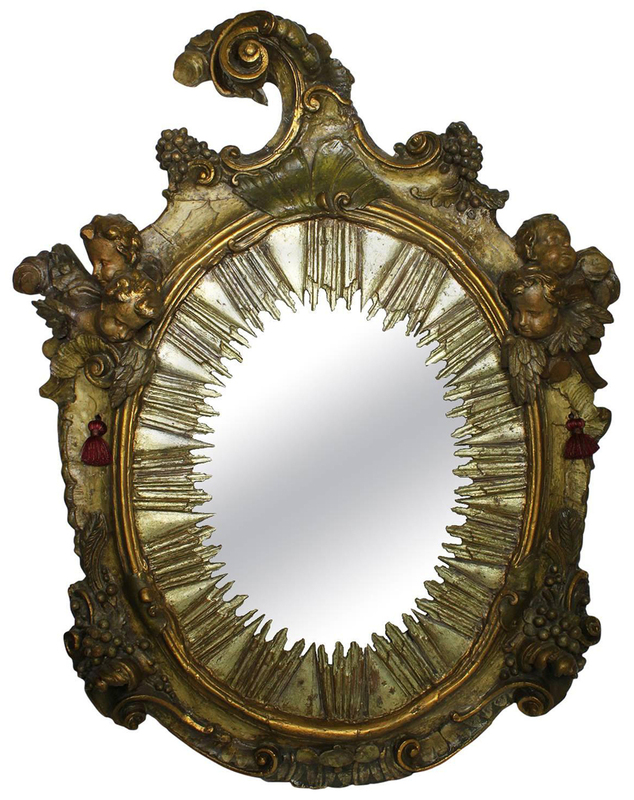 A Very Fine and Palatial Italian Baroque 18th Century Parcel-Gilt and Silver Carved Wood Figural Mirror Frame, with figures of cherubs, scrolls and acanthus. 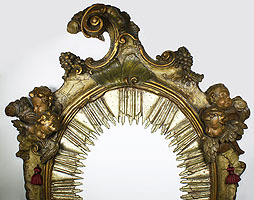 The ovoid frame crowned with a scrolled cornucopia form finial, surmounted on each side with a pair of cherubs amongst grape clusters, all in a green, cream, gold and silver finish. 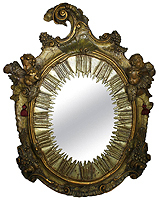 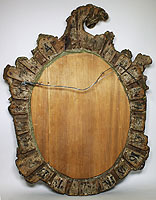 The center mirror panel in the form of a carved silver-leaf sunburst. 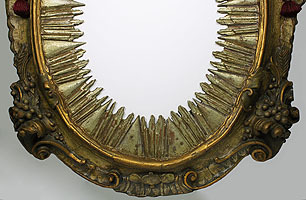 Circa: Florence, 1790-1800.